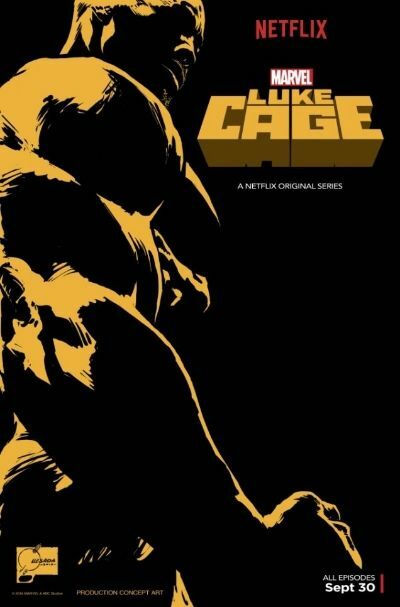 The first poster for the upcoming Netflix series Luke Cage (an extension of the Jessica Jones and Daredevil series) was released today. It's looks like an ad for a movie from the 70's. The trailer looks cool and I liked his character on Jessica Jones...so I'm looking forward to this starting on September 30th!